The city of Seattle on Tuesday was scheduled to announce its Memorandum of Understanding with the L.A.-based Oak View Group, which plans to spend $600 million renovating the arena for NBA and NHL use. Tuesday’s news conference was canceled after new sexual-abuse allegations against Mayor Ed Murray. More updates to come. 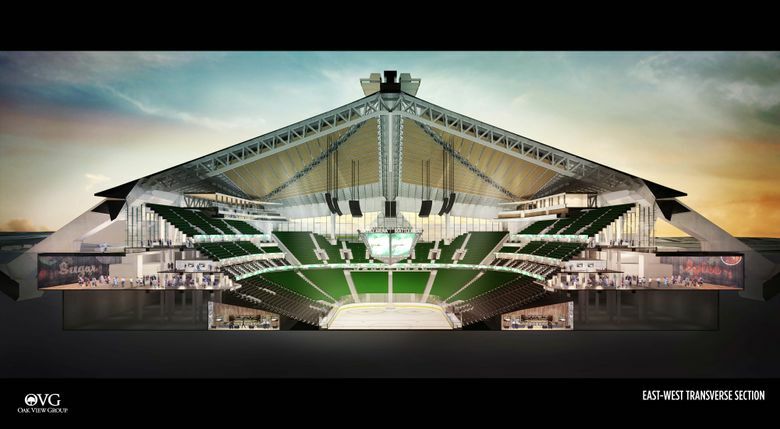 Los Angeles-based Oak View Group now plans to spend $600 million renovating KeyArena for NBA and NHL use and finish by October 2020, according to a new deal with the city of Seattle that was scheduled to be announced Tuesday. In the plan, OVG would commit $40 million to improve traffic, transportation and parking beyond any requirements stemming from a mandatory environmental impact review. 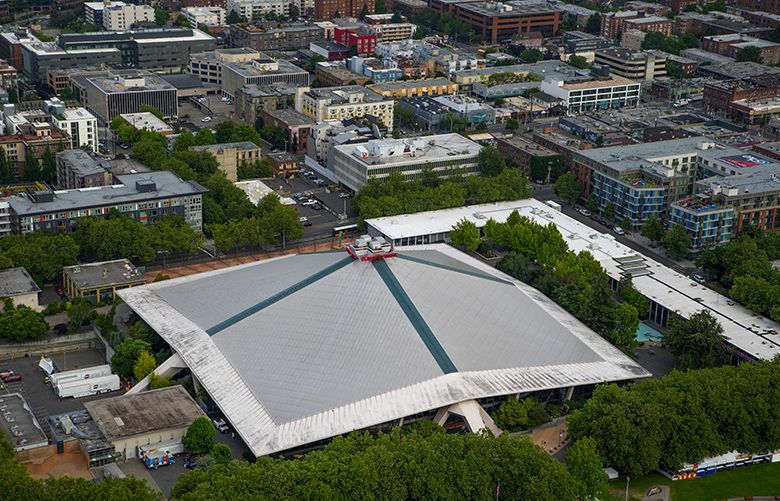 The deal guarantees Seattle the revenue it currently gets from KeyArena, and includes a plan for sharing new money generated by the 55-year-old facility after renovation. Both sides hope the draft Memorandum of Understanding (MOU) is approved by a City Council vote by Dec. 31. Beyond the construction and transportation outlays, OVG plans to put $20 million toward a community fund — with half the amount aimed at combating youth homelessness. Millions more would be spent by the group to relocate existing Seattle Center tenants such as those in the Blue Spruce Building on Thomas Street and Pottery Northwest; paying for the city’s legal and consultant costs; and assuming financial commitments for the duration of the WNBA Seattle Storm’s new 10-year lease at KeyArena once it reopens. Further, the new 39-year lease has a pair of eight-year extension clauses triggered only if OVG spends at least $168 million in ongoing KeyArena capital improvements and acquires NBA and NHL teams. Group co-founder and CEO Tim Leiweke said the deal was reached after a long back-and-forth with community leaders and others in Uptown, Belltown and South Lake Union. Surratt said OVG’s pledge of $40 million toward mitigating traffic and parking problems would be used to partner with other entities — including the city, King County and the Port of Seattle — on a “mobility plan” for the entire area. The completion timeline, which the city has agreed to after consultation with its environmental review agencies, could lead to an NHL franchise beginning play here by the 2020-21 season. The league needs an additional Western franchise to balance its conference alignments. The NBA has hinted it is years from expanding, or relocating teams. But NBA commissioner Adam Silver and his NHL counterpart, Gary Bettman, have been apprised on recent KeyArena updates, and Mayor Ed Murray reached out to both again Monday ahead of the MOU announcement. Leiweke declined to comment on either sports league. But OVG has partnered with billionaire investment banker David Bonderman and Hollywood producer Jerry Bruckheimer to be Seattle owners of an NHL franchise. The project’s completion date assumes construction beginning in October 2018, preventing KeyArena from hosting the opening rounds of the NCAA Men’s Basketball Tournament in March 2019. The city and OVG plan to contact the NCAA and the acting host, the University of Washington, to move the tournament and stage an ensuing edition later in a renovated facility. The 39-year MOU lease term is designed to meet minimal federal requirements for OVG to qualify for historic-preservation tax credits. OVG has applied for roughly $70 million in such federal credits and budgeted to receive $50 million to apply against the renovation cost. But that process takes years with no guarantee that OVG would qualify. So it’s guaranteed it would front the entire cost if need be, plus all overruns. OVG would pay the city an average $2.6 million in annual rent, adjusted for future years based on inflation and applied discounts if revenue targets are reached. OVG gains control of all revenue from the First Avenue parking garage but would pay the city $650,000 yearly to match what the city takes in from the garage. For two nearby garages, the city maintains total control of incoming revenue. But once it reaches current yearly revenue levels, the city — for the first 10 years of the lease — would pay 75 percent of any surplus income to OVG as a discount on its KeyArena rent. After 10 years, surplus revenue from the two garages would be split 50-50. That formula also would be used to split incoming sales tax, business and occupation tax, leasehold-excise tax and the commercial parking tax at KeyArena. OVG would guarantee the city what it currently earns and split anything above that. One exception is the admissions tax, with OVG guaranteeing the city what it currently takes in and then keeping anything above that. OVG is not paying property tax. But it would be on the hook for up to 12.84 percent in leasehold-excise tax “in lieu’’ of property tax to state, county and city agencies. “We’re not evading any taxes — period,” Leiweke said. There’s also no exclusivity clause in the MOU, but it does specify that competing Seattle arena projects must be all-private with no city subsidies for construction. That leaves a door open to entrepreneur Chris Hansen and his proposed private arena project in the city’s Sodo District if it wishes to vie for an NBA team down the road. Hansen has a five-year MOU with the city and King County for a Sodo arena that expires Dec. 3. Hansen can trigger that MOU only if he acquires an NBA franchise before it expires. 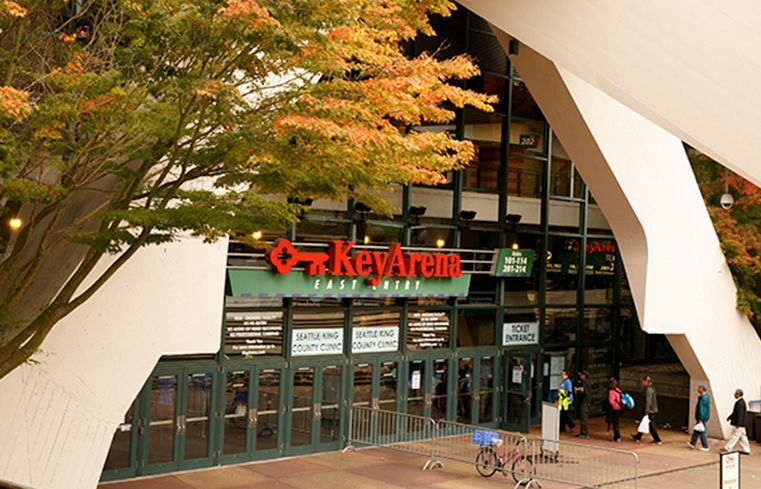 For that reason, the City council won’t approve a KeyArena MOU until at least Dec. 4. Hansen last week made an unexpected offer to renovate KeyArena into a downsized, split-venue for concerts and music for between $90 million to $100 million — if his Sodo arena gets approved and built. The city dismissed the offer as too late. OVG has never sought arena exclusivity. Leiweke noted Monday his group’s partnership with LiveNation gives it a clear edge in acquiring top-level concerts — something any competing arena project would likely need to survive.